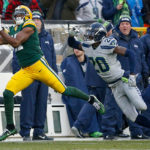 The Green Bay Packers ended their five games winless streak on Sunday December 8, 2013 with a 22-21 win over the Atlanta Falcons at Lambeau Field. 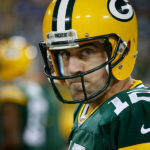 The streak started when quarterback Aaron Rodgers went down early in the Chicago Bears game with a shoulder injury. 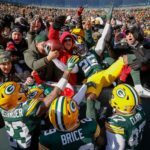 Even with a terrible last five games the Packers are just a half game out of the divisional lead and a spot in the playoffs. 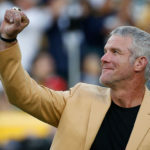 I’m not sure even if Rodgers comes back to make a playoff run that the Packers will be able to do much with other injuries they have suffered, but as a Packers fan I’m hoping they do well. 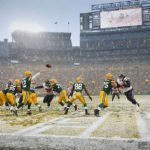 Here are some of my favorite images from covering the game on a snowy winter day. 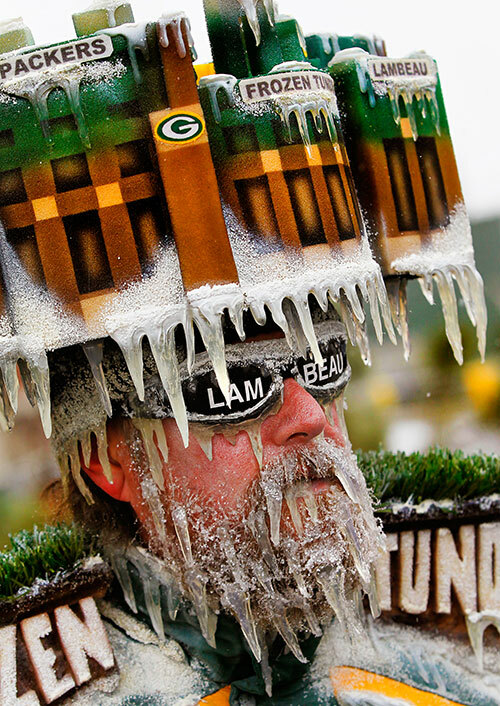 Green Bay Packers fan Matt Kahlow before the Packers vs Falcons game on the frozen tundra of Lambeau Field. 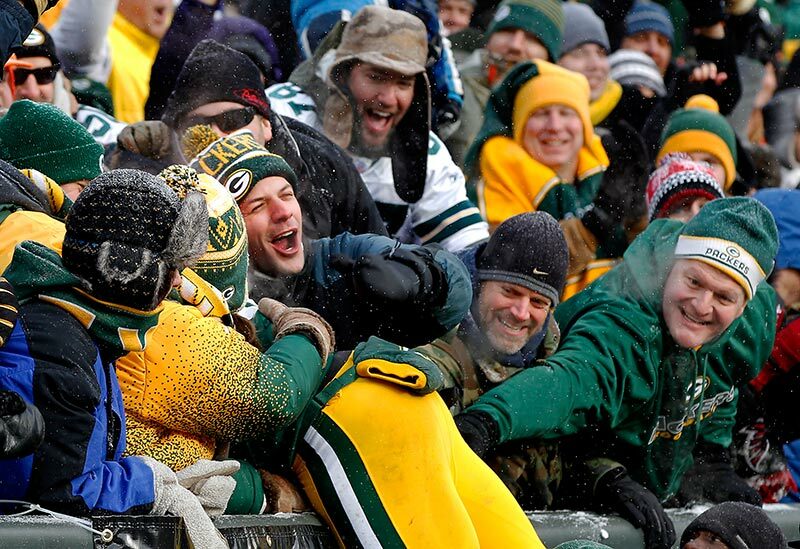 Packers fans celebrate a touchdown with Packers running back Eddie Lacy. Atlanta Falcons fullback Jason Snelling tires to pull in a pass as Green Bay Packers inside linebacker Brad Jones defends. Green Bay Packers tight end Brandon Bostick tries to leap over the defense of Atlanta Falcons cornerback Robert McClain. Atlanta Falcons wide receiver Drew Davis gets past Green Bay Packers strong safety Morgan Burnett on his way scoring a touchdown. 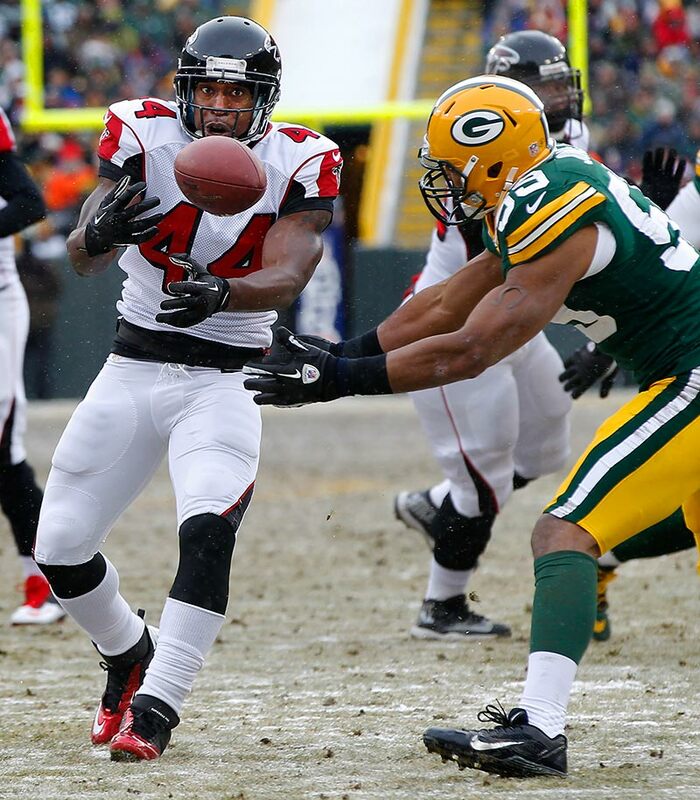 Atlanta Falcons strong safety William Moore sacks Green Bay Packers quarterback Matt Flynn knocks the ball loose. 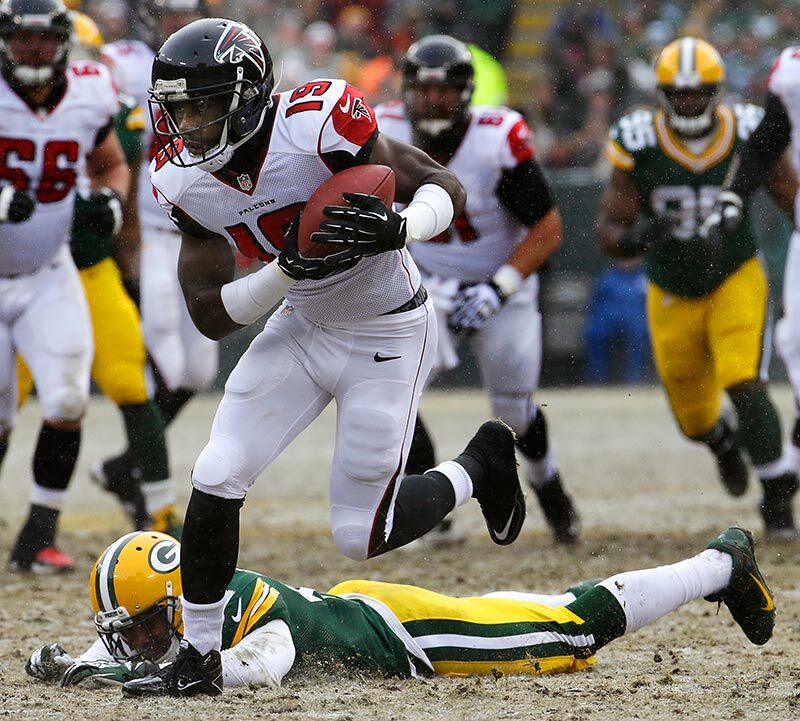 Green Bay Packers quarterback Matt Flynn can’t regain control of a fumble that Atlanta would go on to recover. Atlanta Falcons outside linebacker Sean Weatherspoon intercepts a Matt Flynn pass for a touchdown. 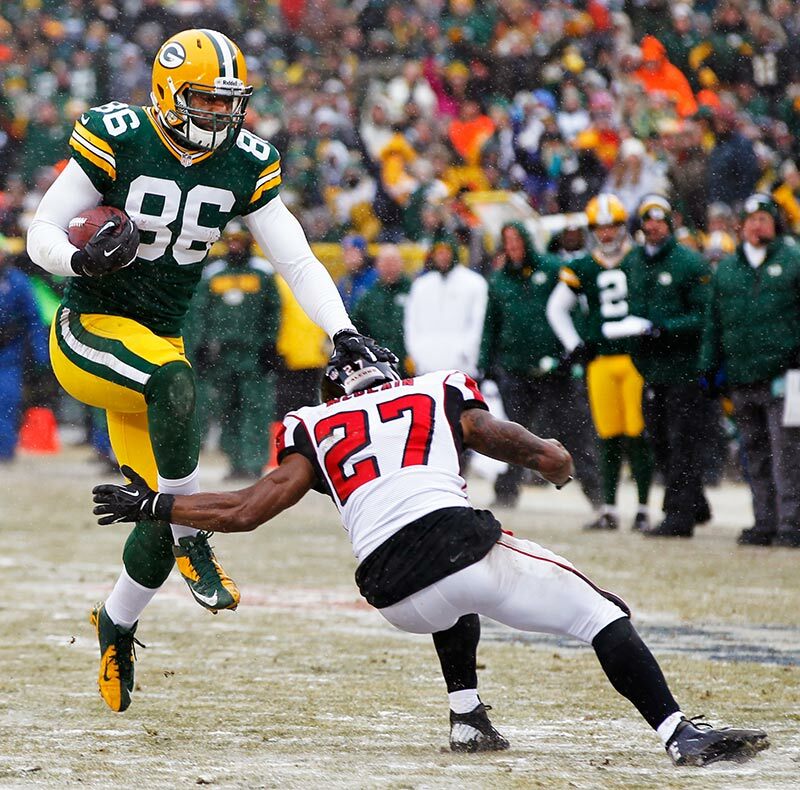 Green Bay Packers wide receiver Jordy Nelson tries to get past Atlanta Falcons cornerback Robert Alford. Green Bay Packers tight end Andrew Quarless pulls in a touchdown pass as Atlanta Falcons strong safety Zeke Motta defends. Green Bay Packers tight end Andrew Quarless celebrates his touchdown. Atlanta Falcons head coach Mike Smith watches a Falcon drive in the final minutes fail. Green Bay Packers cornerback Jarrett Bush pulls in a interception to clinch the win for the Packers. Green Bay Packers cornerback Jarrett Bush, left, celebrates his interception. Green Bay Packers quarterback Matt Flynn raises his fist in victory as he walks off the field.